Come check out the latest in BUNN coffee crafting technology. The BUNN Espresso Demo Van will be coming to KaTom to demo the newest line of craft coffee machines. Discover why restaurants and foodservice establishments across the country are making the switch to this new technology and have all your questions answered over a hot cup of coffee! 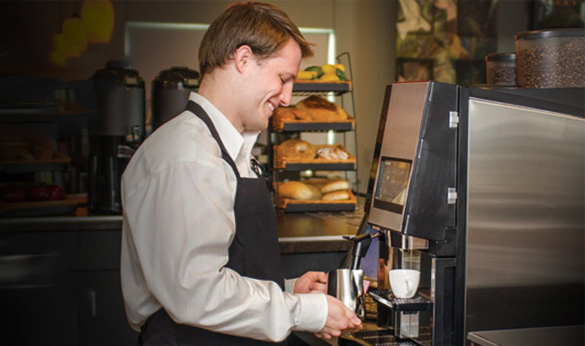 A profitable espresso beverage program that delights your customers requires equipment that is embraced by staff, safe to use, intuitive, consistent, and easily maintained. Make BUNN Espress® Sure Tamp™ your fresh, new canvas for successful beverage innovation and execution.